in Kelowna and in the Okanagan. and give you the best deal. 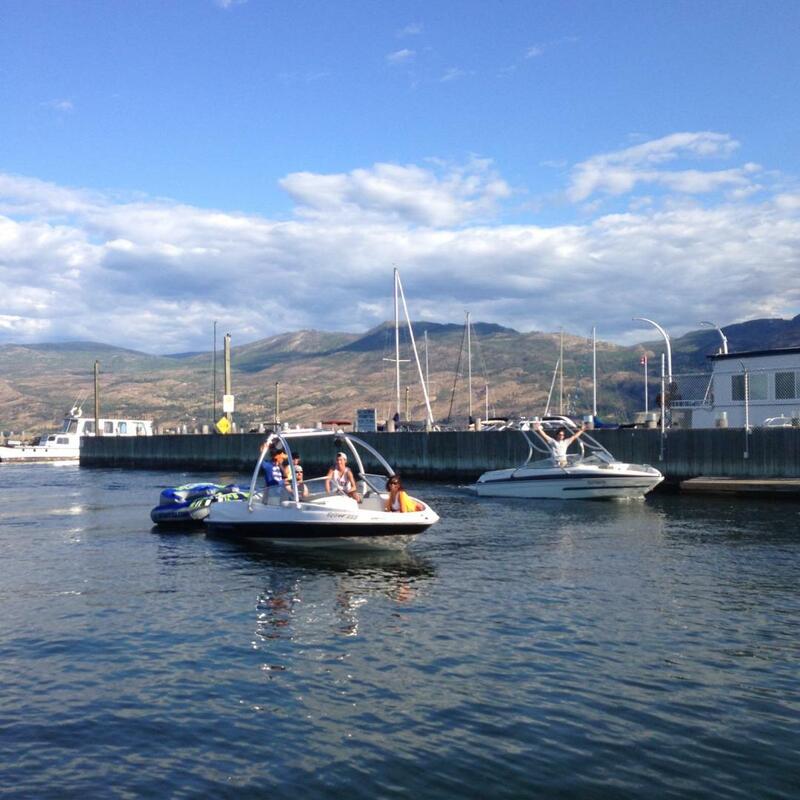 Kelowna Boat Rentals offers a mobile delivery service that makes renting a boat quick and easy. We simply meet your group at a boat launch, complete a rental agreement, make sure you are completely confident in operating, and send you off to enjoy the lake! 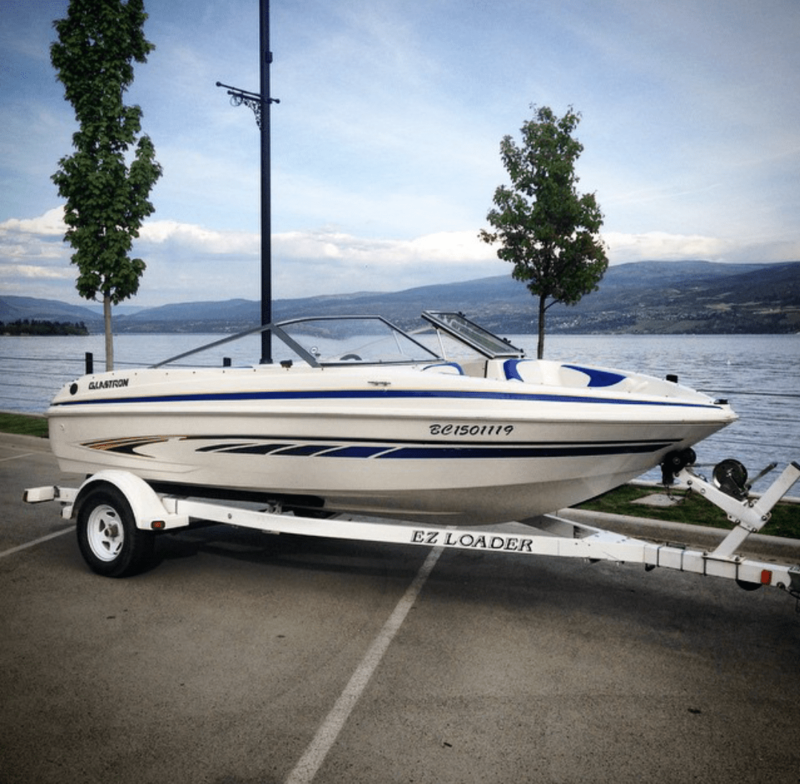 Our complimentary delivery includes two boat launches in Kelowna and one in West Kelowna. The downtown Kelowna boat Launch is located between the Kelowna Yacht Club and the Delta Grand Okanagan, the Mission area is served by the Cook Road Launch (beside Hotel Eldorado), and the Westside launch is from the West Kelowna Yacht Club. We offer free delivery to these locations or a small delivery fee for other launches in the Okanagan. Other areas include Peachland, Summerland, La Casa and Fintry. Along with serving Lake Okanagan we offer delivery service to Kalamalka Lake, Wood Lake, and Duck Lake as well. 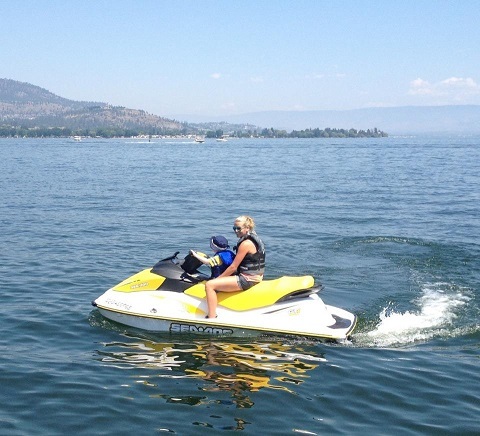 Kelowna Boat Rentals is a great way for families and groups to enjoy Lake Okanagan in the Summer. Our fleet of boats for rent offer many different experiences for you to enjoy the Okanagan. 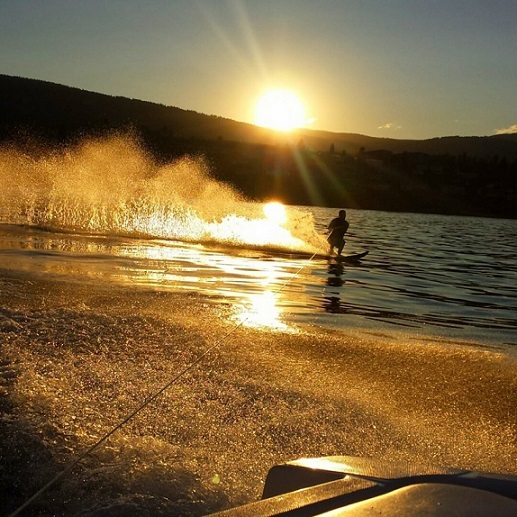 Whether it be a scenic tour along the shoreline, a quiet afternoon alone, or exciting moments taking place on a tube, wakeboard, or waterski, Kelowna Boat Rentals offers a boating experience to remember. 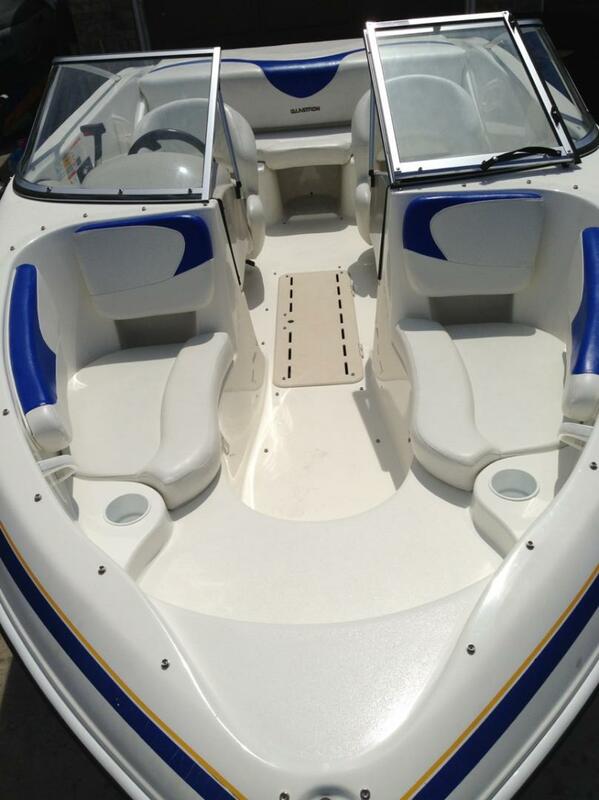 If you are looking to go boating in the Okanagan, Kelowna Boat Rentals has everything you need to enjoy the water. 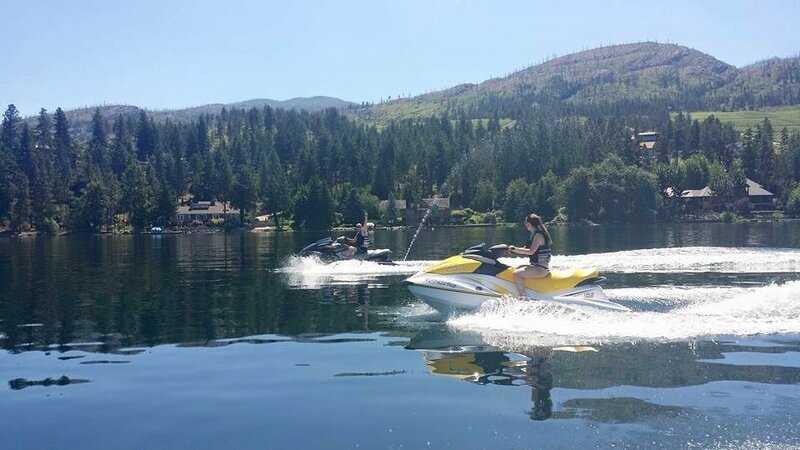 Our boats are able to accommodate up to 9 people (based on weight of persons and gear) and are sure to provide an enjoyable day of boating on Lake Okanagan. 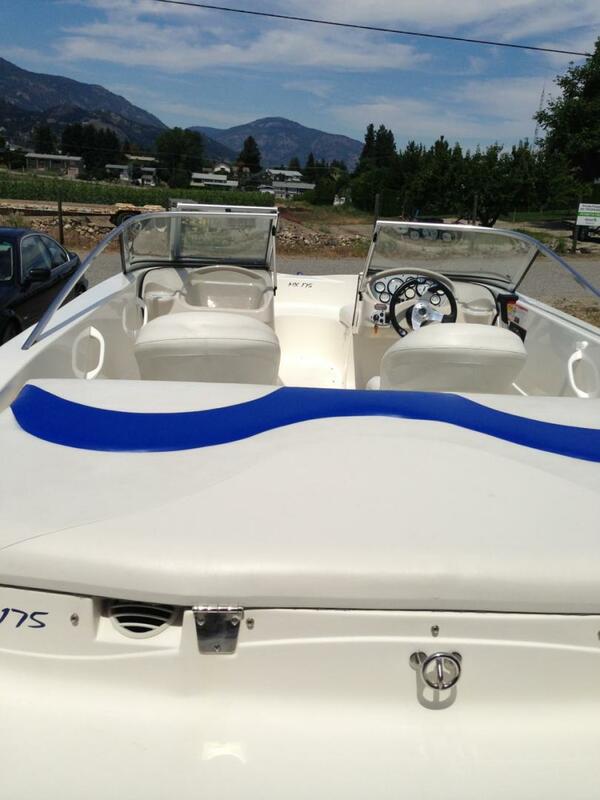 Kelowna Boat Rentals offers two different length of boats. Our 18.5′ Larson is ideal for groups up to 8. While our 20′ Glastron is capable of hosting groups of 9. We are here to offer you the best boating experience possible. Look over our rental rates, or give us a call and we will be happy to make sure you have everything you need to make your day on the water perfect! How to Rent a Boat in Kelowna? Questions that are commonly asked by people renting boats in Kelowna. Which boat is best suitable for 8 people? A) We have boats for rent that have a capacity of 8 or more. Depending on the size of the party we can recommend any of these options. For parties of more than 8 we recommend the pontoon boat as it has a maximum capacity of 12. A) We currently have 9 boats and two seadoos for rent in our fleet and each of them offers a little something different. Where can I rent a boat in Kelowna? A) We are based up in West Kelowna in an area central to the three main boat launches we operate out of. What boat launches do you operate out of? A) We operate out of multiple launches in the Kelowna area. Our three most popular launches are the Water Street Boat Launch, the Cooke Road Boat Launch, and the Gellatly Bay Boat Launch. We are going to be in Kelowna for these [insert your vacation date here] dates, do you have anything available for then? A) The most efficient way to know if a boat is available for your dates is to give us a call. In all of our reservations, the finalization of the booking will take place with a phone call as we require a credit card to hold the boat. I am interested in renting this boat, what equipment comes with the rental? A) With every boat rental at no charge we will provide all of the necessary safety equipment (ie: Safety kit, fire extinguisher, flares, and paddle), all the life vests or PFD’s, and a temporary boaters license if the renter does not have one. Can I rent the boat for [insert your desired length of time here] hours? A) Our minimum boat rental is four hours. We also offer boats for rent at six and eight hours. Our time slots for 4 hour rentals are from 9-1 and 2-6 while our six hour rentals go from 9-3. What are the boat rental cancellation fees?